As a treatment for chronic insomnia, melatonin supplements disappoint. Internal secretion of melatonin, the hormone of darkness, begins to rise some two hours before you fall asleep. Adding to it with a melatonin supplement is often redundant. But there’s increasing evidence that melatonin supplementation is effective for some sleep problems and may also help to treat and/or avert serious health conditions. Here’s a summary of the benefits. As a jet lag remedy: Eastward travel across several time zones is difficult. Your body clock has to shift forward several hours until sleep syncs up with darkness in the new time zone. A melatonin tablet taken before a late afternoon or early evening departure (together with reduced light exposure) may help to initiate this phase advance and serve as a jet lag remedy. From day 1 you’ll fall asleep earlier and wake up earlier, starting out on the right foot. As a maintenance therapy for night owls: If you come alive in the evening and can’t get to sleep till 2 or 3 a.m., chances are your body clock runs late. Instead of completing a daily period every 24 hours, a daily period for you may be closer to 25 hours and even longer. The medical diagnosis for this problem is delayed sleep phase disorder, or DSPD. People with DSPD have a tough time getting up for early morning classes and work. The solution is twofold: bright light exposure in the morning and a daily melatonin supplement taken around dinnertime. (For details see this blog post on DSPD.) Recently, melatonin was found to be quite effective in helping adolescent night owls fall asleep earlier so they could rise ‘n’ shine in time for early morning classes. All of these factors are associated with melatonin deficiency and will make it harder to fall and stay asleep. How can you know if you’re deficient in melatonin? An easy way is to test for the main melatonin metabolite in a urine sample collected during the first void of the morning. Testing for melatonin in the saliva and the blood is more involved. Home test kits are available, but you’re more certain to get accurate results from tests ordered by a doctor. Older adults deficient in melatonin may find their sleep improves when they take a daily melatonin supplement. Timed-release melatonin is now available over the counter in the United States. Particularly if your problem is sleep maintenance insomnia (you wake up several times at night), a timed-release supplement will probably be more effective than immediate-release tablets, which exit the system fairly quickly. Weaker evidence suggests that melatonin may help combat some cancers, including prostate and breast cancer. If you’re a garden-variety insomniac like me, you may not think much of melatonin. But don’t you have to love it a little bit for all the things it can do? If you’ve tried melatonin for sleep or some other reason, how did it work? Melatonin In any form has never helped me; not the liquid sublingual kind, tablets in various strengths, etc. What has helped me the most is a Fisher Wallace Stimulator, an electronic device that stimulates your own production of melatonin and serotonin. It’s not cheap at $700 but it comes with a 30 day guarantee/trial period and I’ve repeatedly been desperate enough to pay any amount. I’d recommend it to anyone looking for a solution. 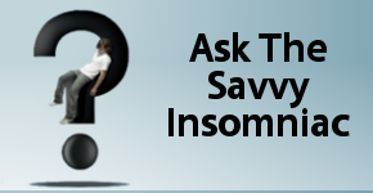 Thanks for your comments about melatonin and the device that has helped you sleep. Several similar devices are on the market now. I have no personal experience with any of them. 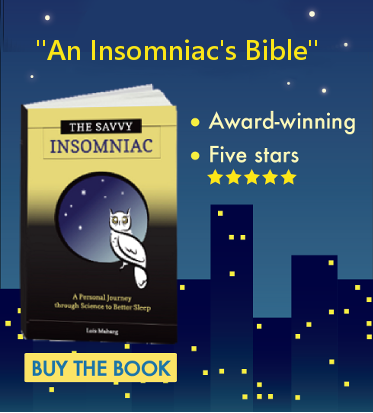 But here’s a blog post I wrote on the topic a couple years ago: https://thesavvyinsomniac.com/2014/12/29/insomnia-could-cranial-electrotherapy-stimulation-help/. It may be helpful to others wondering about trying this type of treatment themselves.